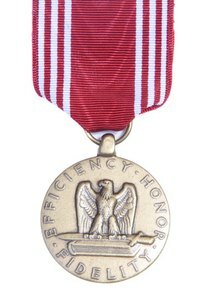 Military medals have been given to victorious generals and heroic soldiers in many wars all throughout history and the world. Finding a genuine military medal can be difficult and expensive. If your child needs his own faux military medal as part of a costume for a school play or for Halloween or you need one for a fancy-dress party, you can design and make your own. Pound a bottle cap flat with a hammer so that the sides of the bottle cap are pushed underneath the top. Gently tap the edges to smooth down any points. Paint the bottle cap using a medium paint brush and enamel paint. Silver or gold are good military medal colors. Leave the paint to dry. Paint military details onto the medal using a small paint brush and different colors of enamel paint. Stars, an eagle or a heart are all common to military medals. Leave the paint to dry. Cut out a piece of ribbon from 2 to 3-½ inches long. Cut one end of the ribbon to a point, from which the medal will hang. Glue the point of the triangle to the back of the medal using epoxy glue. Leave the medal overnight to let the epoxy glue dry. Glue a large safety pin to the back of the ribbon, just below the top. As an alternative to the bottle cap, or for a larger medal, cut out a circular piece of heavy cardboard or plastic.